Union cards submitted for Non-Tenure-Track faculty! 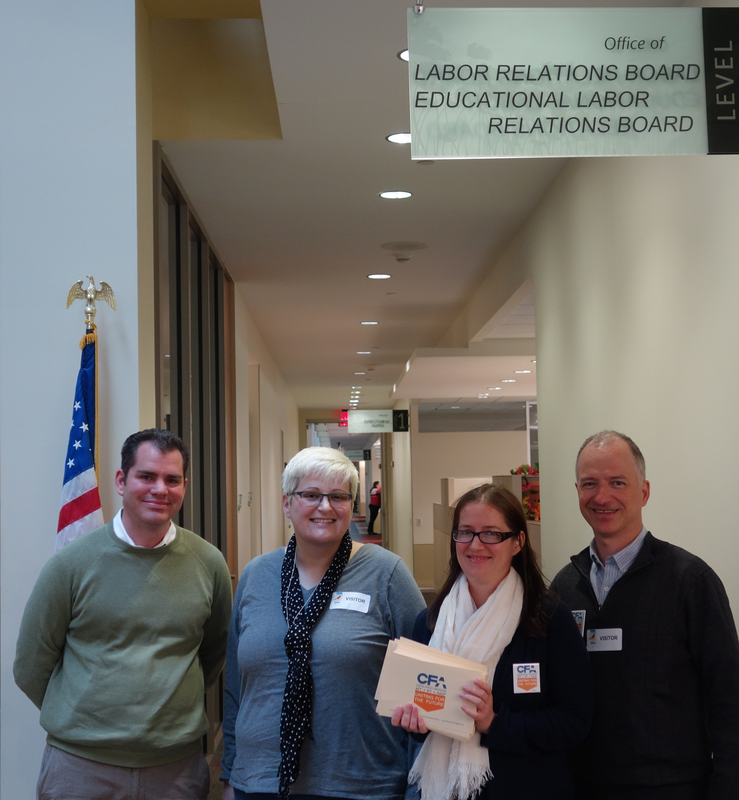 Today, non-tenure-track (NTT) faculty at the University of Illinois, Urbana-Champaign, formally petitioned the Illinois Educational Labor Relations Board for union representation. The union authorization cards, submitted from a majority of NTT faculty across campus (excluding Law and Veterinary Medicine as required by State law), point to a future that includes longer-term contracts, clear guidelines for promotion, higher salaries, and respect as faculty. NTT faculty perform the teaching, service, and research that form the heart of the University of Illinois, and the time has come for their large and growing role on campus to be recognized and supported. We stand in solidarity with our fellow NTT faculty at the University of Illinois, Chicago in setting high standards for higher education in the state of Illinois. Stay tuned in the coming weeks for updates and more details!